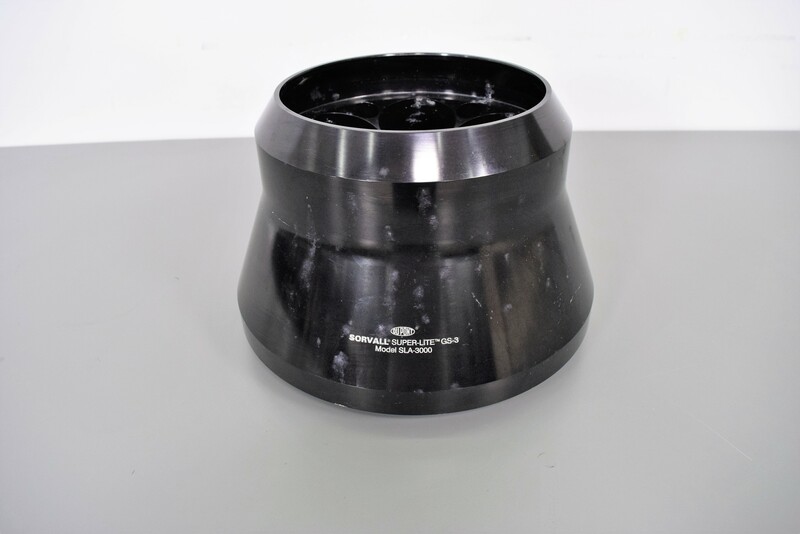 Sorvall SLA-3000 Super-Lite Fixed Angle Rotor for Sorvall RC-5C Centrifuge . New Life Scientific, Inc.
* The SLA 3000 is compatible with Thermo Scientific Sorvall Evolution RC series and RC-6 Plus series centrifuges (including RC-5, RC-5B, RC-5B Plus, RC-5C, RC-5C Plus, and RC-26 Plus). This rotor is in good condition with minor scrapes. There is no lid included with the rotor. The rotor has a maximum speed of 12,000 rpm and is autoclavable at 121ºC. It holds 6 x 500 ml tubes or adapters along with 6 smaller tube holders. Our in-house technicians did a visual inspection, but no testing was performed. Although this instrument was untested, it is still protected by our 90-Day warranty.